I feel like it’s been forever since I had the time to do a Nail Adventure! My nails have been pretty wretched lately, actually. Part of it was me doing some cleaning at work and dropping a sign. Instead of letting the sign fall on the floor, I caught it. Which broke three nails to the meat. It wasn’t pretty. I had to bandage up for a couple of days. Now, they’re starting to grow back nicely, but for safety’s sake I’ve been keeping them short, and to let them breathe, I’ve kept them largely unpolished. Yesterday, since I decided to do my usual writing outside instead of in my house, I decided to do a quick manicure. It’s in a pale shade (!!!!) because it gives the illusion of longer nails and it hides nicks pretty well (this would be why you see so many celebs with pale, neutral nails). So, what did I do? 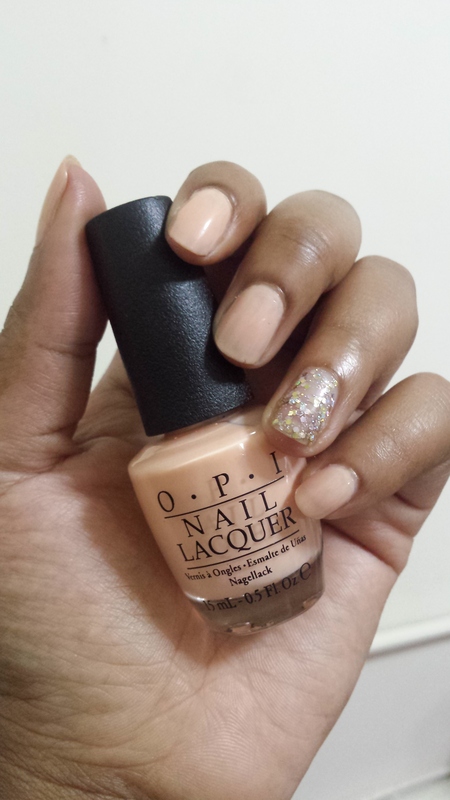 So, the pale coral is OPI’s Chillin Like A Villain and the glitter is Julep’s Paris. I’d had the OPI color in my box for a while and never used it because pale and neutral, which we all know I tend to be allergic to. But I got a tan while I was out doing the AIDS walk last week (it went awesome and I was OMG TIRED but I did it! ), and I noticed how lovely the color looked against my skin. So I went for it. And yes, I can admit I like it. 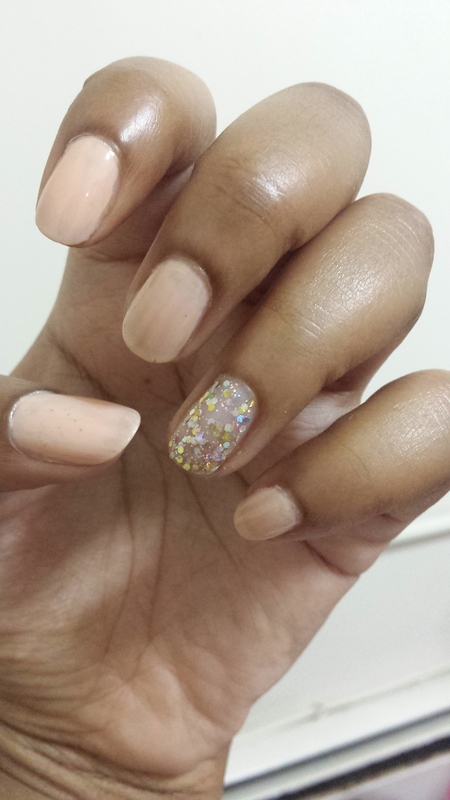 The simple sparkle (which is over bare nails) just gives it enough oomph for me to not feel like it’s boring. Very classic glam. I would caution that this color is also pretty sheer. Had I more time I would have done a third coat to get it as opaque as I prefer (that’s two coats above. Yesterday was Memorial Day. The unofficial first day of summer for us Americans. A day filled with cookouts, beer, friends, and family. I, like quite a few other folks that work retail, had to work. Because Memorial Day sales and whatnot. Before I begin, let me first say thank you to the servicewomen and men out there that keep us safe, and I send peace to the families that have lost loved ones. Listen, I don’t know what it is about holidays that turn some shoppers into entitled snots, but I swear, anytime it’s a major holiday folks tend to get really snippy. I’m helping a customer, right? She’s looking for correcting concealer (these are the concealers that come in orange, yellow, or green; most often used for correcting skin concerns), so I’m showing her a concealer palette we carry. Now, it’s clear that the person I’m speaking to is a customer, as I’m handing her product and explaining the best way to apply it when I hear a crash on my counter. I look over, as does my customer. Here stands a woman with giant sunglasses on and one too many lip injections tossing items on my counter. I look. My customer looks. At which point we look at each other and dissolve into laughter. 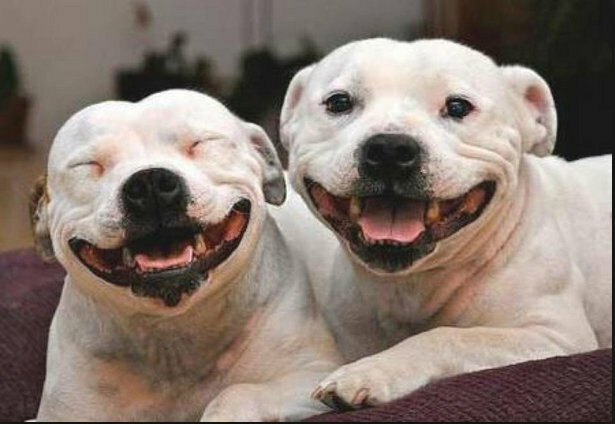 Just a little something to make you smile on the first day back at work. Happy Tuesday! Want To Help Me Do Something Great? Then I’d love it if y’all would donate to my fundraising campaign for the AIDS Walk! It’s taking place in NYC on May 17th. I’ll be walking a 5K (!!!!!) to help support multiple organizations that help people affected by AIDS all over the world. I’ll be walking with a team, and we’re looking to raise $1000. We’re at $450 now, and my personal goal is $300. Think how far that money could go! Want to help? Click here for my personal fundraising page, and leave a donation. Signal boosting would also be a huge help–feel free to share this post (and that link) on all of your social media. Picture it: NYC, 2011. I’m going about my duties at work, when I’m approached by the (very confused and flustered) assistant manager. He has a woman with him, and she’s carrying two boxes with her. I can tell by how he’s looking around he needs ME to help him sort this out, and I immediately get nervous. I step from around the corner to see how I can be of service. I’m confused by this, until I see the two boxes she’s carrying: the Today Sponge, and the Instead cup. Ok then, I think. The pharmacist is a guy, so she wanted a woman’s opinion. No problem, I can oblige. Hmm. Having never used either of the items she was holding, I did a quick read of the box. I see her face drop. Aww. I felt bad, so I decided to offer her an alternative. And I went and helped her pick out some condoms so she could enjoy her evening with her handsome man. Picture it, April 30th, early evening. I’m in GNC getting some protein powder for my smoothies (trying to get healthy, don’t ya know), and one of the two salespeople ask if I need help. So, you know that customer you ask if they need help and they say no and wander aimlessly until your coworker asks if they need help and they say yes and you get annoyed? I was that customer. *hangs head in shame* I wasn’t trying to be, but I needed unflavored protein powder and couldn’t find it where I thought it should be. So, the guy asks if I need help and I finally admit I do, so he takes me to the protein powder I want. When he says school I realize he thinks I’m around his age. He’s got a baby face, so I just have to ask. I had to stifle a laugh. That’s precious. When I was 20 I was pulling all nighters writing papers and trying to figure out where I was gonna get my liquor for the weekend. You aren’t concerned about getting your life together. You’ve just discovered you have one. And I got my protein powder and my vitamins and headed home to eat my slice of German chocolate cake.